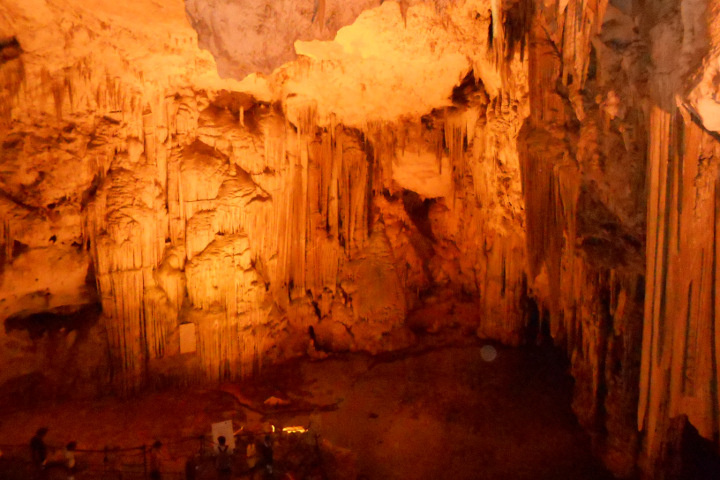 This is the tale of an itinerary between land and sea, to discover an underground place… Follow us and admire Neptune’s caves! The caves are located in the north west of Sardinia, under the vertical cliffs of Capo Caccia and there are two ways to reach them; the first is through a steep staircase (the Escala del Cabirol) that descends along the cliffs with stunning sea views; the second is by sea, thanks to the boats that depart regularly from Alghero, especially in the beautiful season. We chose the boat tour. 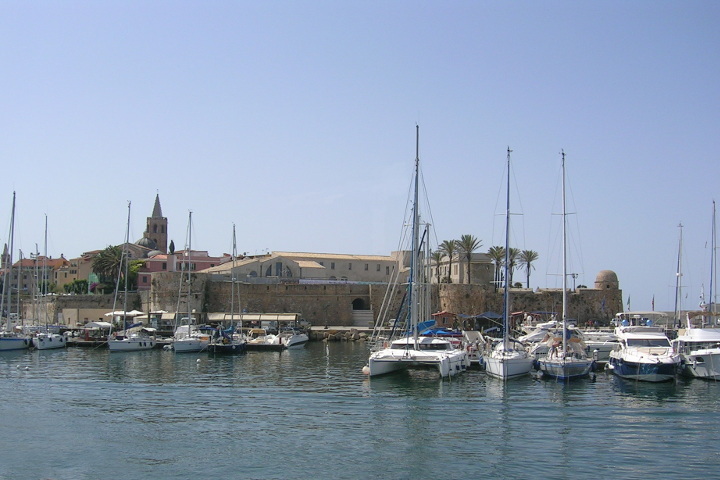 This is one more opportunity to see the beautiful Catalan city of Alghero, the ancient ramparts and the port. 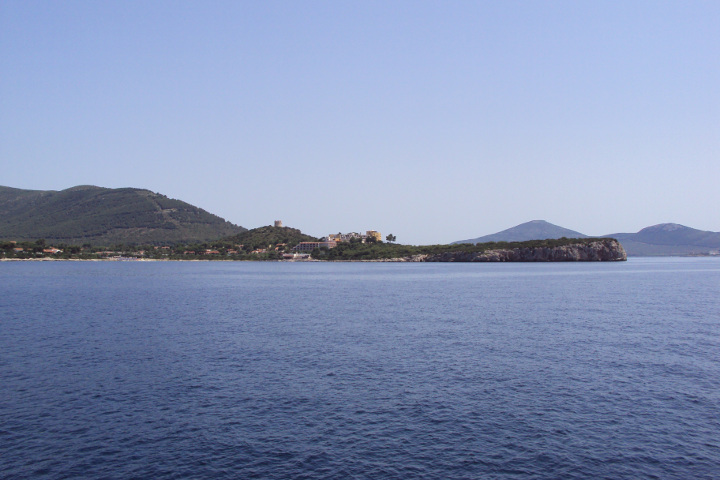 The boat crosses the gulf of Alghero in less than an hour; anyway, during the tour, we have time to observe the beautiful beaches in the distance (especially Le Bombarde and Lazzaretto); we also take time to photograph the nice bay of Porto Conte, with ancient many fortification towers. 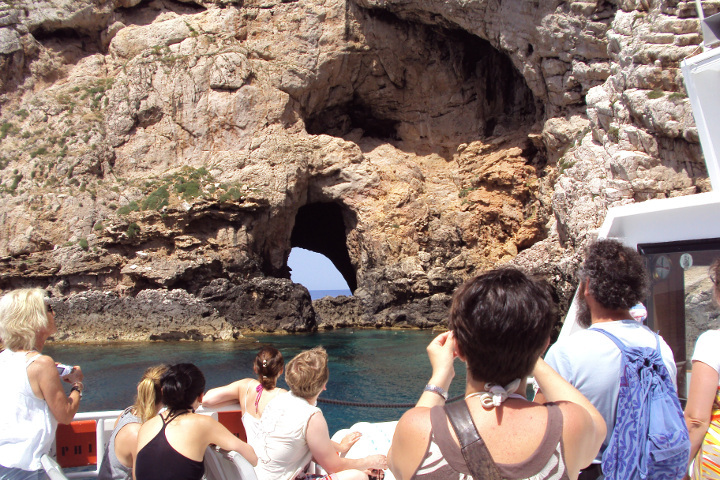 We reach the small Cala Dragunara, with its clear waters, for an intermediate stop before departing. 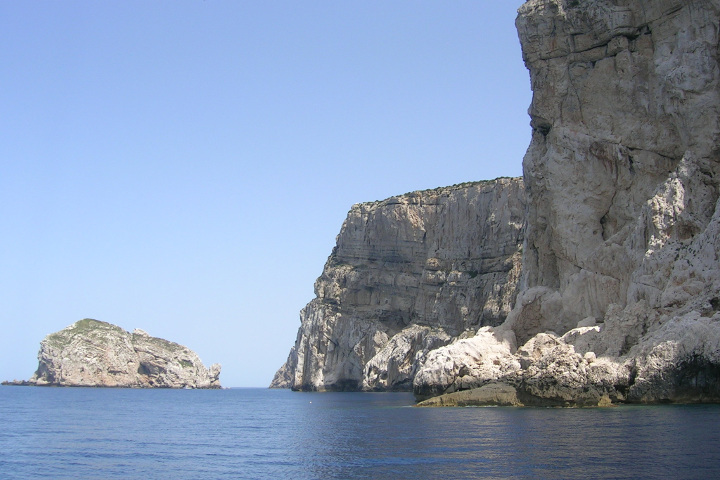 The last minutes of sailing are the most impressive, very close to the high cliffs of Capo Caccia. 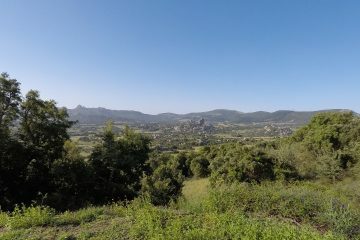 This is a landscape that has few equals in Sardinia and it hides great surprises! 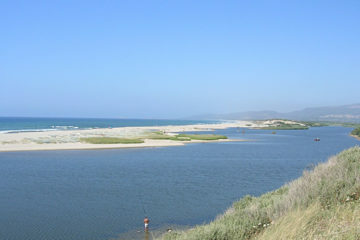 Even though we have found a good weather with calm sea, we can notice all the power of the elements. 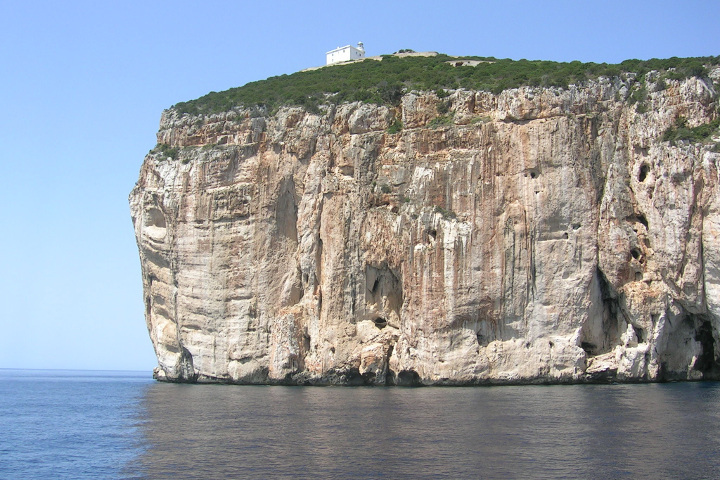 Wind and sea over time have carved the cliffs of Capo Caccia. 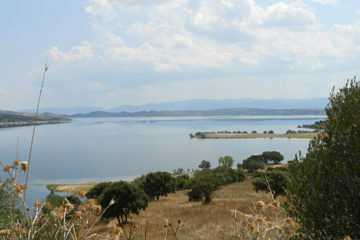 The nearby island of Foradada is a spectacle to see! It is a giant rock with several caves dug out of the sea; the main one crosses it aside, allowing us to see through it the sea on the other side! 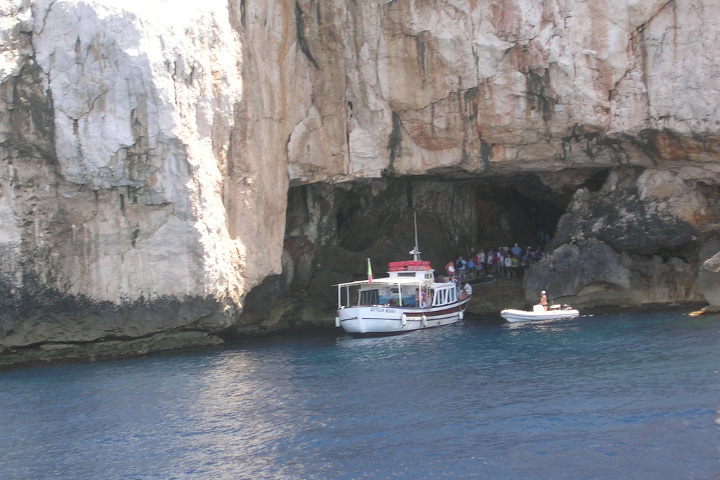 The boat tour finishes with the arrive under the cliffs of Capo Caccia, at the entrance of the caves. 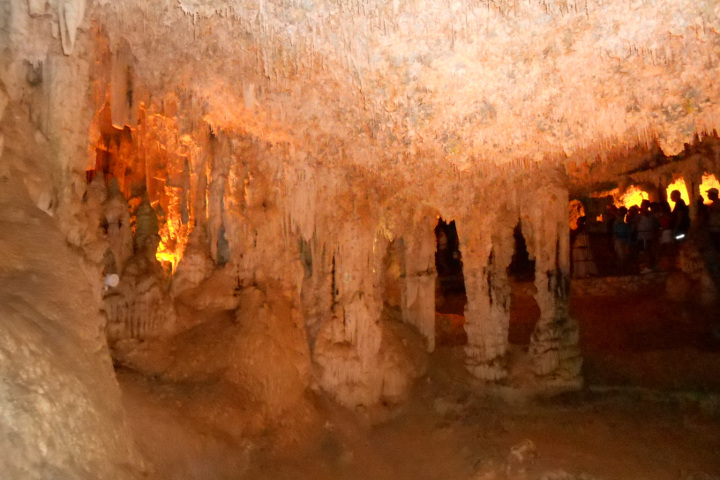 The firts part of the itinerary leads us to a large section of the cave, containing an underground lake (Lamarmora Lake). 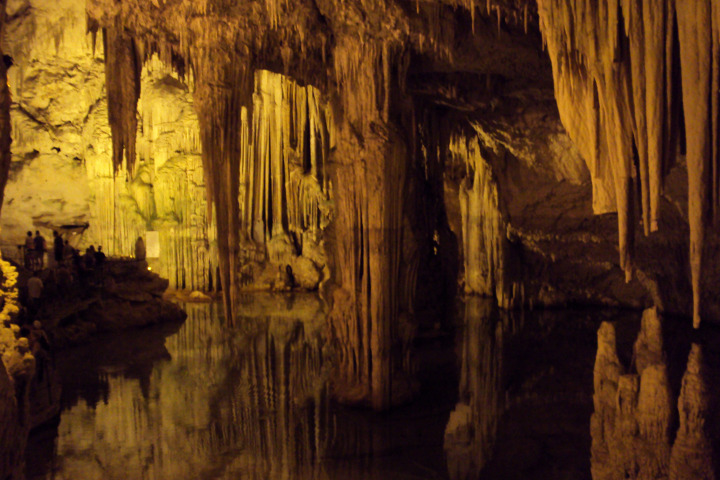 In the middle of the clear waters of the lake, an impressive stalagmitic column called Acquasantiera stands. 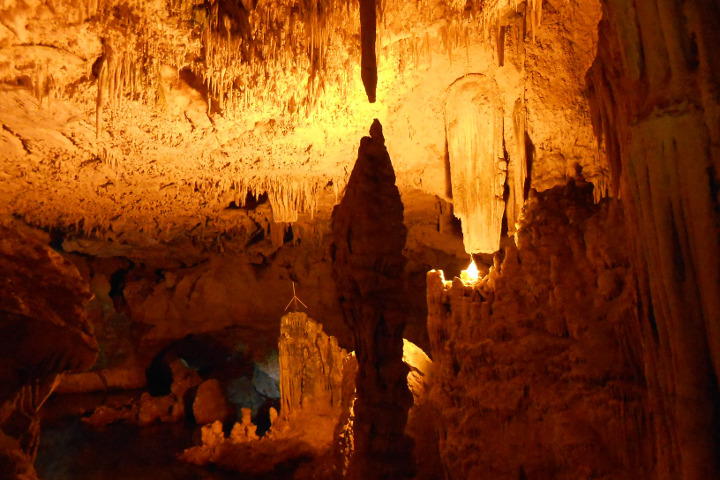 All the route is illuminated, emphasizing colors and shadows of stalactites and stalagmites, without excessive light. So we have the opportunity to take some photos before proceeding in the exploration. We follow the tunnel, through surprising natural rooms, arriving at that called Sala Regia (Regia Hall). It is a kind of big central saloon, whose height exceeds 50 meters! We admire it in silence. 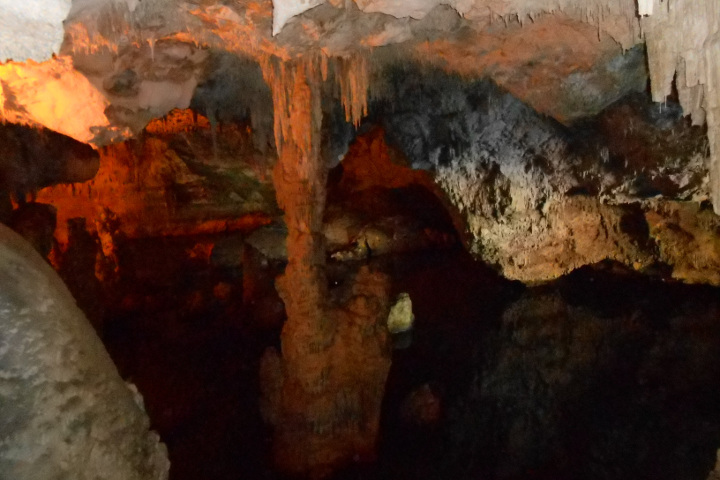 We continue the path in the last stretch, going up to a sort of balcony from which we can see many columns (stalactites and stalagmites) realized over time by that patient sculptor with the name of water.